Mensusa https://www.mensusa.com/articles/wedding-tuxedos-los-angeles-trends.html Wedding Tuxedos Los Angeles Trends The wedding season is officially on. Whether your big day is near or far away, it's never too late early to choose for wedding tuxedos los angeles that you should wear. When spring comes, love is usually in the air in Los Angeles. Wedding planners and love birds are found around like ants on a freshly grazed anthill. The wedding season is officially on. Whether your big day is near or far away, it's never too late early to choose for wedding tuxedos los angeles that you should wear. When considering formal wear, the color is one of the most significant things to choose. A lot of factors go in into choosing what color is best for your wedding. What will the bridesmaid wear? Should men wear matching colors? At the end of things, you will have the best color for your wedding. Below are some of the best tuxedo trends. just like the saying goes, something classic, something new for this year, something for hire and of course something blue. The most emerging trend of the season is blue. May it be midnight, slate or navy? Blue is color that is very balanced for most people. it looks both formal and fun. Darker hues are good for any evening wedding or night ones. Grey tuxedos have been the darling for many ever since they hit the scene. Heather and lighter shades that resemble cement are perfect for daytime weddings especially in the warmer months. The darker ones like sharkskin and steel are best for evening and night weddings. 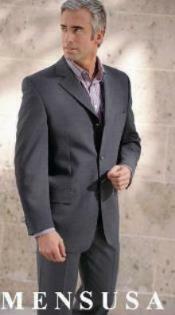 Grey can be a great way of scaling down formality in your wedding without the risk of hurting class. The most classic and formal color for a wedding is black. Black tuxedos are the original and most timeless tuxedos. Traditionally, black ones are meant for night weddings. However this is a very lax rule and you can choose them for your day wedding. If you combine this classical black piece with several accessories for your wedding you can be assured that your pictures will never look too dated. Below we have listed the newest trends of wedding tuxedos in Los Angeles. These have come back really strong. Traditionally speaking, this piece was reserved for daytime functions and weddings. This trend has not been very popular in Los Angeles but some men have really held upon it. Tuxedo suits incorporate 3 main lapel varieties. The notch lapels, shawl collars and peak lapels. These styles send different messages. So be sure and careful of what you wear. Peak lapel are traditional and the most formal. Shawl collar types are also very formal and elegant. The notch ones are less formal but have been popular in the past because they emulate suits. Most tuxedo styles available in the market are modern fit. However there is an increasingly large no of slim fit tuxedos this year Weddings resemble people. They come in different sizes and shapes. All are unique in a certain way. All are special and worth celebrating and remembering. In all of them, details matter. Knowing the formal trends is timeless. It gives your wedding the special and unique look. It makes it feel just like you wanted it to. It will leave an everlasting impression in your heart and mind. So make sure it's the best.